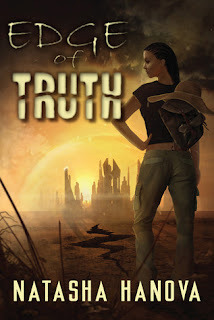 Welcome to my stop on the Edge of Truth blog tour hosted by Xpresso Book Tours! To see other stops on the tour of reviews and promo posts click here. When I first saw the tour sign up for this book, I instantly jumped at the opportunity as I am always game to read and review YA dystopian novels. I'm glad I picked this one! It was a very enjoyable read! However, it certainly leaves you wanting more. I am not a fan of info-dumping at all, and thankfully Natasha did not do this to us. However, I still have a lot of unanswered questions about the society, the "Others", and what the true motivation is behind the enemy's actions. Blaze is Rena's best friend, and seems like the voice of reason. She does not like breaking curfew or the rules as to how far they should wander out of town. Blaze is a good friend to Rena and I really liked what she brought to the story. Nevan is Rena's crush. He plays the drums and always draws a crowd. Watching Rena try to get closer to him is so cute, because she's a bit awkward. She trips and falls a couple of times near him, and then ends up making his acquaintance in a spur of the moment situation. Listening to her inner thoughts about how he must think she's a fool is really adorable. Again, I really liked Rena's voice in this novel. It made her a lot more real and believable to me. As the synopsis above states, Blaze is kidnapped and Rena ends up teaming up with Nevan to help rescue her. Along the way, these two form an easy camaraderie and then discover there is undeniable chemistry between them. Some of their interactions are so awkward, it's adorable! Rena is determined to save her friend and Nevan is determined to help Rena, even though he barely knows her and has no stock in Blaze. He is a good guy and willing to do whatever it takes to help Rena. Overall, I did like this book, and my only issue was that I have a lot of questions that need to be answered and would like to see a bit more world building. I am not sure if Natasha is planning a sequel, but I sure hope she is! 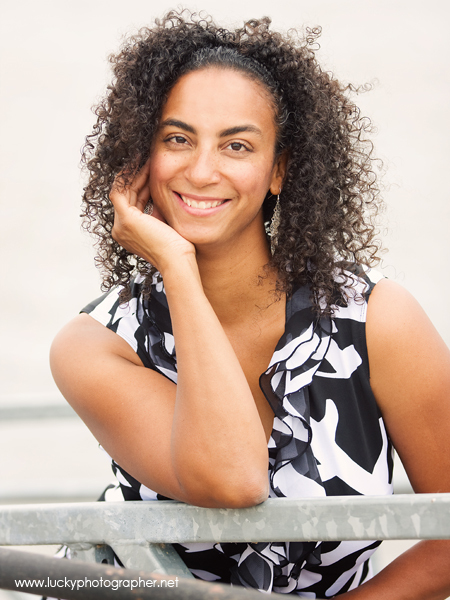 Natasha Hanova is an award-winning author of young adult and adult dark fantasy/paranormal fiction. Her short stories are published in Undead Tales 2, October Nightmares and Dreams, and Once Upon a Christmas. She is a member of Novel Clique, YALitChat, and an Affiliate member of the Oklahoma Writer’s Federation, Inc. She lives in Kansas with her wonderful husband, twin boys, and daughter. I'll have to give this one a try :) Thanks for the review and giveaway! I completely agree on your review! Entertaining, but still left me wanting a little more. Thanks Ashley! I hope she does another book and gives us a bit more! Thanks Chelsea! :D I will definitely be reading the next one! Awesome review!! I'm not sure if I'll ever get to it, but I did enjoy your review, girl!! Thanks Magen! :D I hear ya on the not getting to it- if I didn't already sign up for the tour forever ago, I probably wouldn't have either. I am drowning in books!